The famous Toquilla straw hats, commonly known as Panama Hats, are not actually made in Panama. Instead, they are made in a rural community called Pile on the coast of Ecuador. 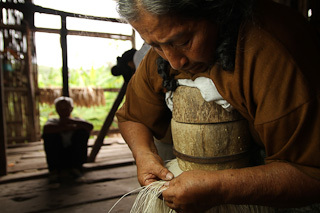 The artisans here are the last who still possess the 250 year-old knowledge of making fine, handmade hats. But due to a falling dollar and younger generations choosing paths other than hat-making, this art is disappearing. As elders explain the process of making the hats, and how they are actively teaching the craft to the youth in the community, it is also evident that the artisans of Pile could quietly, suddenly disappear. 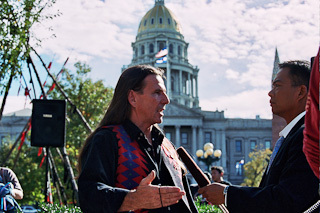 Columbus Day Legacy explores the quintessential American issues of free speech and ethnic pride against the backdrop of the ongoing Columbus Day controversy in Denver, Colorado. Since its recent incarnation in 1992, the 500th anniversary of America's "discovery," the Italian-American community in Denver has wholeheartedly celebrated its revered holiday, much to the dismay of the many local Native Americans. Both the Italian- and Native American communities are strong, vibrant, and tight-knit. Columbus Day Legacy conveys this sense of community on both sides of this vigorous debate while addressing the conflicts involving freedom of speech, the interpretation of history, and what it means to be an "American." 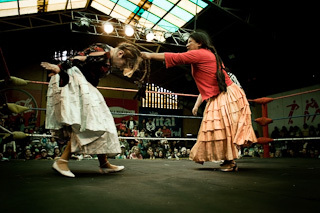 El ring y sus titanes tells the story of the Lucha Libre matches that take place between the cities of La Paz and El Alto, Bolivia. Cholitas, men, dwarves, superheroes and monsters are the focus of the ring, and they all reflect, in a surreal parade, the complex reality of the contemporary Bolivia. A fresco of idiosyncrasies, contaminations, bereavement and Andean cultural myths, El ring y sus titanes shows that for a "luchador," it is not the difference between reality and fiction, or the game and victory that matters, but just to keep on fighting. The sculptor Sergio Camargo died 19 years ago. If the bones left in the grave are in fact his remains, would his sculptures be living remains? What is ephemeral and what is lasting? Is there a possible eternity? 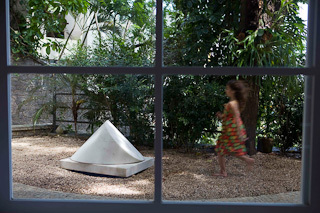 Seen through the eyes of his daughter, Maria, Sergio Camargo is examined both as an artist and a man. 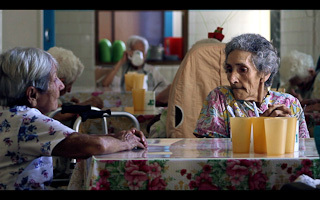 Si seguimos vimos offers a brief look at the life of an elderly group that lives in a shelter. 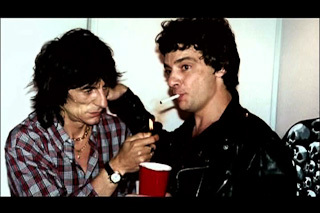 Their bodies, their voices, their time, their rituals, and their obsessions all make the viewer question their sanity, their quality of life and whether it can be considered a life being lived. Between 1942 and 1945, fifty-five thousand Brazilian men worked in the Amazon to extract rubber as part of the World War II effort. 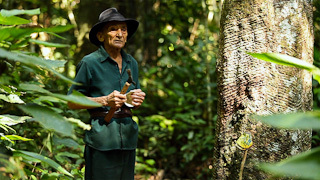 At the end of the war, they received no tributes and continued extracting rubber in the forest in the Brazilian state of Acre, where most of them later died. Acre was the site of the largest number of these workers, and in this film four survivors of this period share their stories.